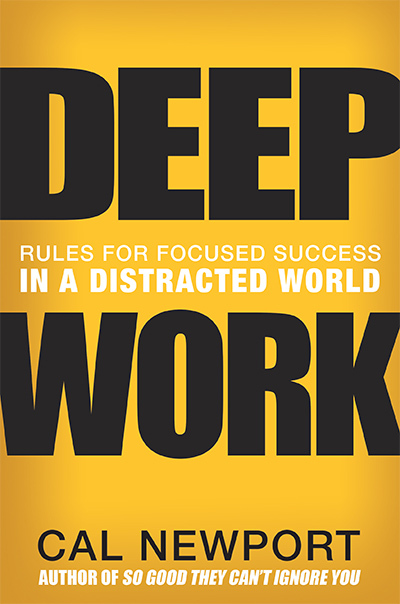 Deep Work by Cal Newport is highly recommended if you are an information worker who is less productive than you wish you were. I recommended Deep Work even more highly if you feel you are productive, but are not producing the sort of work you desperately want to be. I live in a state of distraction. Even working from home as a small business owner where I have no coworkers nearby, I am deluged with e-mail, Slack messages, iMessages, and other incoming data competing for my attention. This means that it’s easy to allow myself to flit from one thing to another. I’m constantly busy for many hours of the day, yet on some days struggle to accomplish anything I feel good about. Deep Work uncovers how the information age impacts productivity. The book’s biggest idea is that truly deep work — the sort of work where you make mental breakthroughs and cognitive advances — only come with prolonged periods of focus. Maintaining focus means getting rid of distractions. Here’s the catch. Our smart phones, inbox notifiers, and related alarms have trained our brains to seek out the quick burst of chemical energy we receive when reading whatever the alert directed us to. Therefore, breaking away from a constantly distracted life is not as simple as deciding to resist temptation. 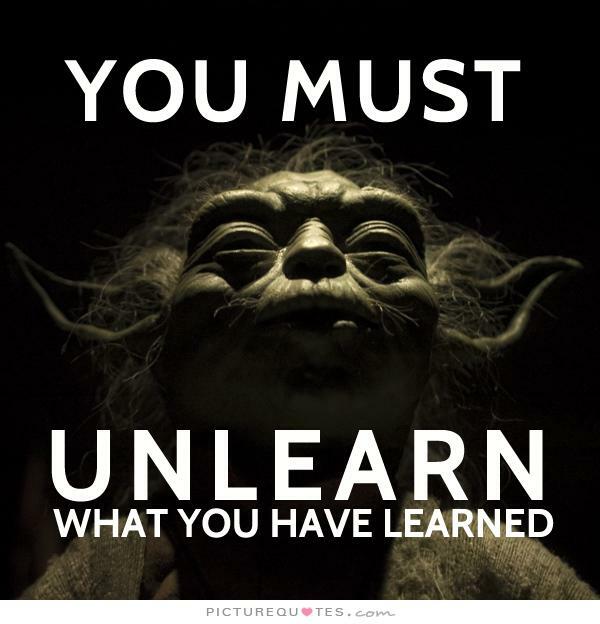 Deep Work takes on the unlearning process. The book cites many examples from research studies and notable individuals about becoming capable of extended focus, and consequently, deep work. Deep Work is a book that demands action of the reader, or else it’s a mere curiosity you’ll forget about as soon as you put it down. Here’s what I’ve done so far. Shut off almost all notifications of any kind. Only for specific notifications from my family or direct messages have I kept alerts on. My family is not chatty, so I’m not deluged. That said, Slack remains a disruption (despite shutting down almost all notifications) I don’t quite know how to handle, as it is our company’s primary communications tool. Invested in anti-distraction software. I have found the urge to check Tweetdeck or LinkedIn almost overwhelming, particularly when I’m tired or finding the work I need to get done unappealing. To help break the addiction, I purchased Anti-Social. This allows me to build a list of sites I don’t want to be tempted by during times of focus. Anti-Social appears to have re-branded as freedom.to since I purchased it, and is cross-platform. Invested even more energy in Wunderlist. I’ve been using Wunderlist for a while now, even before reading Deep Work. Now, I’m even more invested in it. Wunderlist defines what I’m supposed to be working on at any given time. When I feel uncertain about what to do next, Wunderlist brings me back into focus. Reading more and streaming less. I had slipped into a habit of watching 2+ hours of streaming on several nights of the week. I feel that habit was making it harder for me to concentrate during the day where I might want to read or research. I tend to watch nothing or perhaps an hour now, trading in streaming for reading. When I do stream, I mix in documentaries and other non-fiction with pure entertainment. My evidence is only anecdotal here, but I feel that my work day focus when I research or write is improving as a result. Deleted apps from my phone. For instance, Twitter is gone from my phone. These days, I only install it for conferences, and find it to be immediately addicting. Thus, when I’m in the airport and have said my last social media goodbyes, I delete Twitter again. And just generally, I try to keep distracting apps off my phone. Going forward, I have more changes to make. To reinforce the big ideas, I would like to read Deep Work again, not a huge challenge as it’s an easy-to-read 263 pages. I want to read the book this second time with a more critical eye to how I’ve applied the principles thus far, and see what I can do better. I have goals. I need to be incredibly productive for a concentrated number of hours per week. Most days, I can do my job effectively in an 8+ hour day, presuming I’m focused during that time. That allows me to write, respond to my business e-mails, take briefings from vendors, plan and record podcasts, organize conference and community events, do lab work and other research, and build presentations. Add to that whatever else I’m called upon to accomplish as a small business owner. Allowing myself to be distracted means that I don’t accomplish as much as I need to in that 8+ hour day, and thus my day and week may drag on. As much as I enjoy technology, I’d rather be trail running or walking along a beautiful ridgeline on a long distance hike. Only if my work is done do I have that luxury of time in the great outdoors. However, Deep Work is not merely a reboot of the classic Getting Things Done, which I also own. I want to think more deeply through the issues facing enterprise IT. Technology has no lack of complex implementation issues that present themselves once you get past a vendor’s Pinocchio architecture and turn it into a real boy. But to see the issues, deep thought is required, at least for me. I want to get that sort of thinking done as a regular habit. I want those breakthroughs. I want that insight. I want that depth. I am reading The Phoenix Project right now, and the latest CCDE Study Guide book is up right after that. Then I’ll tackle Deep Work once again. Thanks Ethan! The search for better production and avoiding distraction is an evereday duty. My biggest problema is too much reading and not much doing, but I know that I’ll get there, one bit a day! I’m buying this book. I need this book. Thanks Ethan for a nice writeup on the book. It helps to make an informed decision to invest time in it or not.